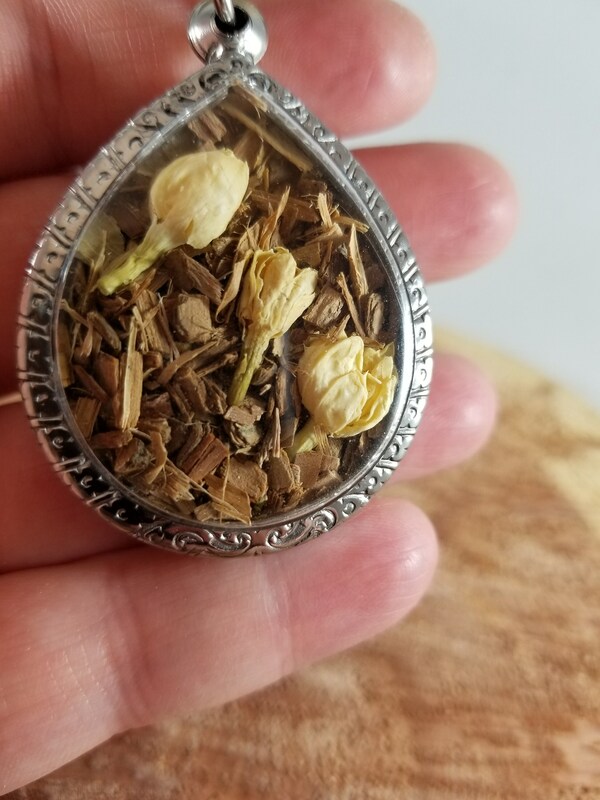 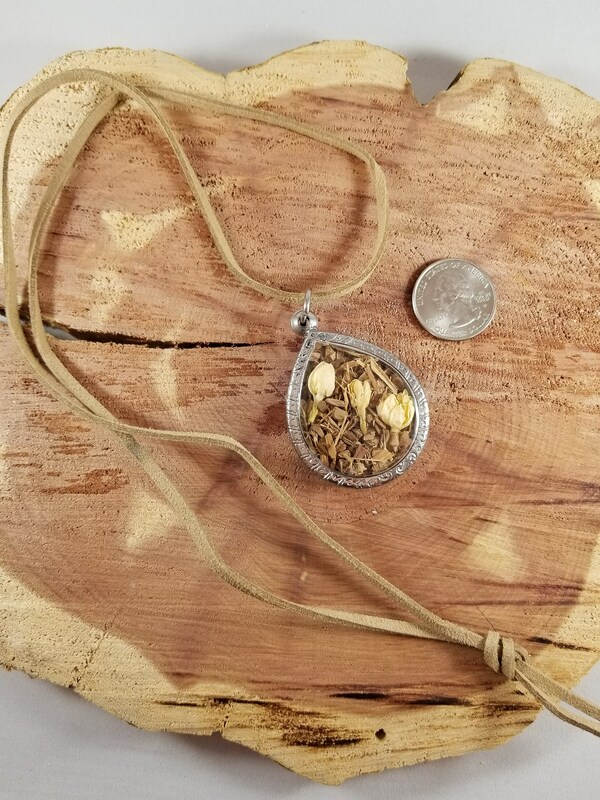 This handcrafted herbal amulet was made by me. 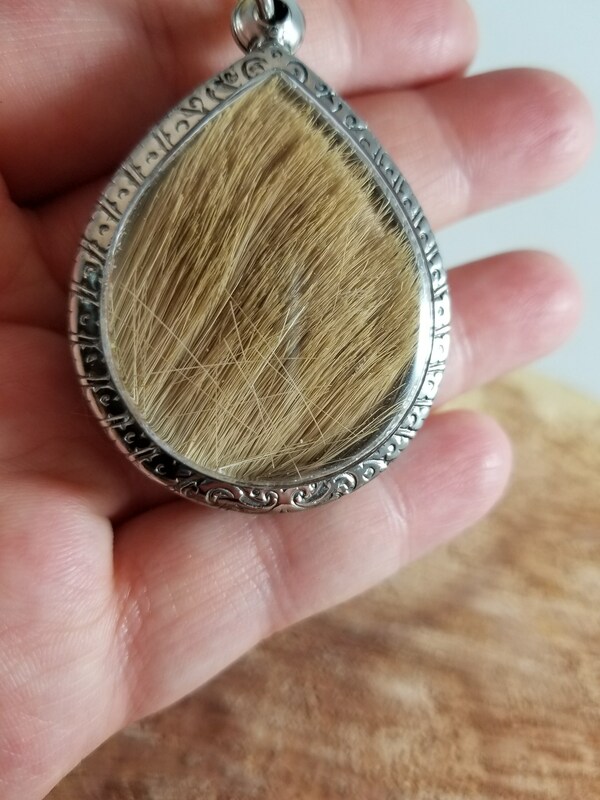 It contains White Willow Bark, Jasmine Flowers and Swamp Deer Hide & Hair. 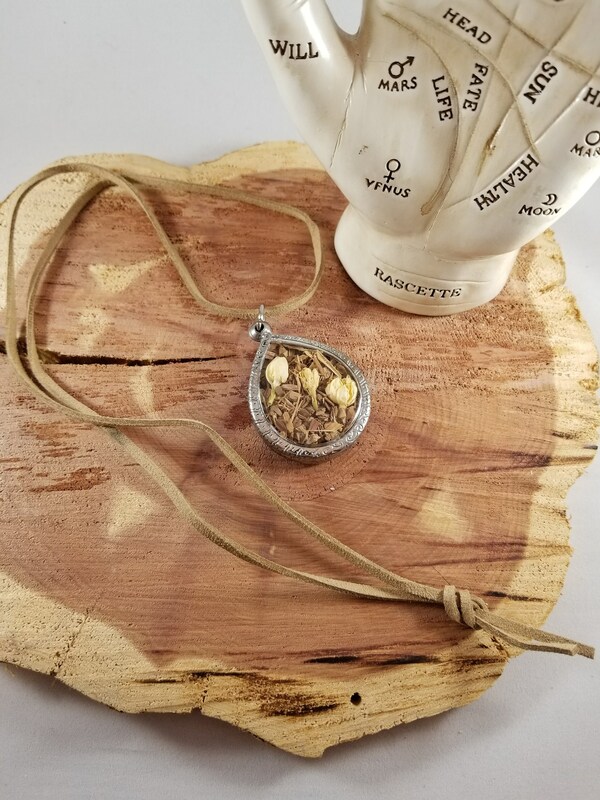 This amulet comes on a 24 inch Faux Suede brown Cord.